Together with my clients I’ve been traveling with Celebrity Infinity for eight days now. 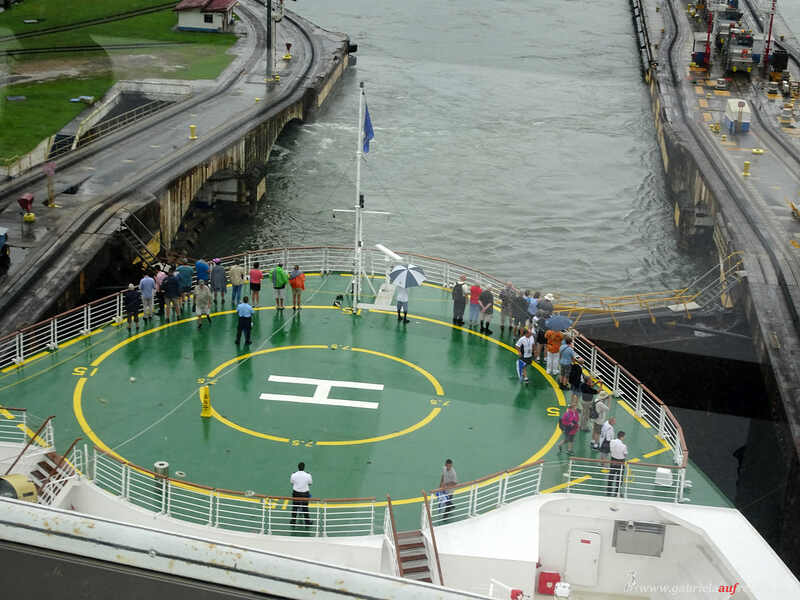 We cruise from San Diego to Fort Lauderdale through the Panama Canal. We are traveling with the Danish tour operator Seadane Travel, who also organized the flights and pre-cruise program in Los Angeles. Zum deutschen Blog. 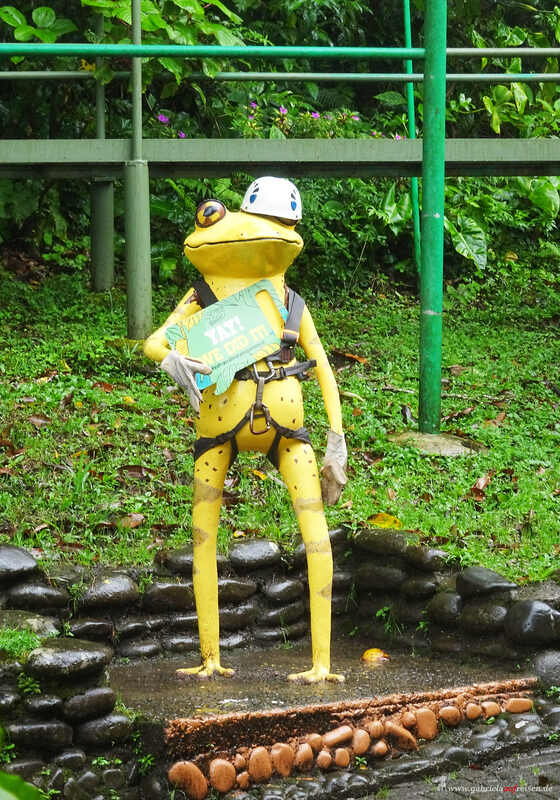 We have booked a full day rainforest tour into the Monteverde National Park. For this, we need to drive about three hours across the country and so we already get a good impression of this small country between the Atlantic and the Pacific Ocean. It has no army, because other countries are not really interested in a land without natural resources. 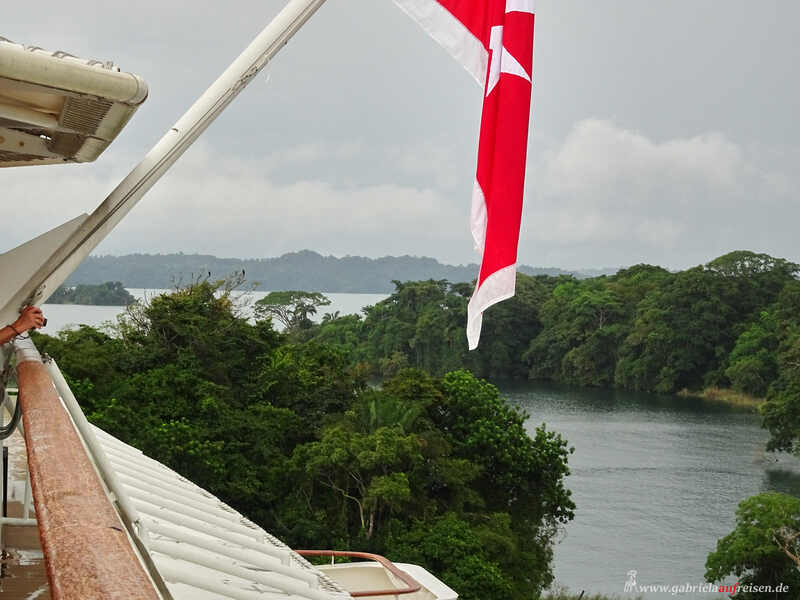 Costa Rica is about the size of Switzerland and has 5 million inhabitants. From one ocean to another, at the narrowest point, it is only 135 km as the crow flies, but by car you drive 5 hours and 350 km over sometimes poor gravel roads. The country has 112 volcanoes, but only eight of them are active. So, it happens that in Costa Rica one or the other is active again and again. For our “walk” through the rainforest, we should first strengthen ourselves in the restaurant “Bon Appetit“. Food and Wi-Fi are good, unfortunately it starts to rain when we must go on. From here it is about 4 km to the starting point. This is where the Sky Ziplines and the Sky Tram begin, too. Our ranger Elvis is already waiting for us in rain gear, good that we have a rain jacket and an umbrella also. On the well walkable path we hike through the rainforest, which lives up to its name. So the first suspension bridge that we cross high above the tree tops becomes a bit slippery. This leisure area is about 1500 m above sea level and so it is at least not hot, but pleasant, about 18 degrees Celsius. The entire circular route includes four suspension bridges and approx. 2 km walking distance. Elvis shows us many plants, many are endemic to this area. 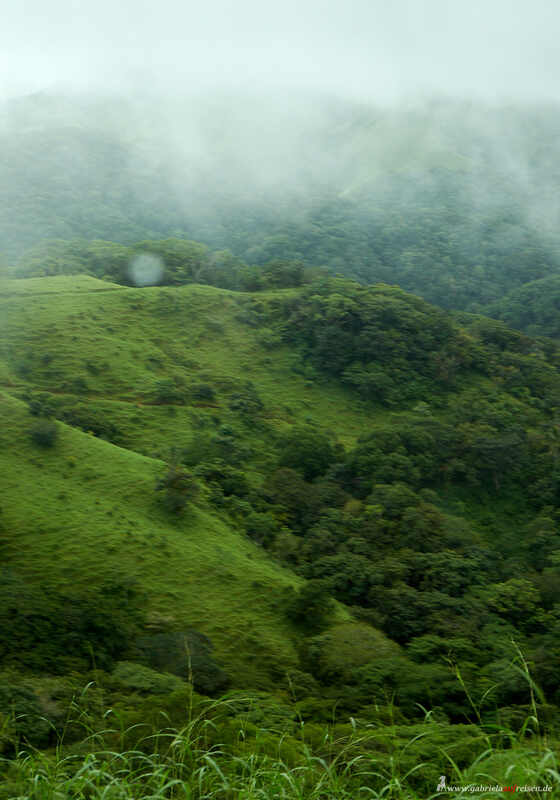 Costa Rica has designated 30% of the country as a national park because of the extreme diversity of endemic species. 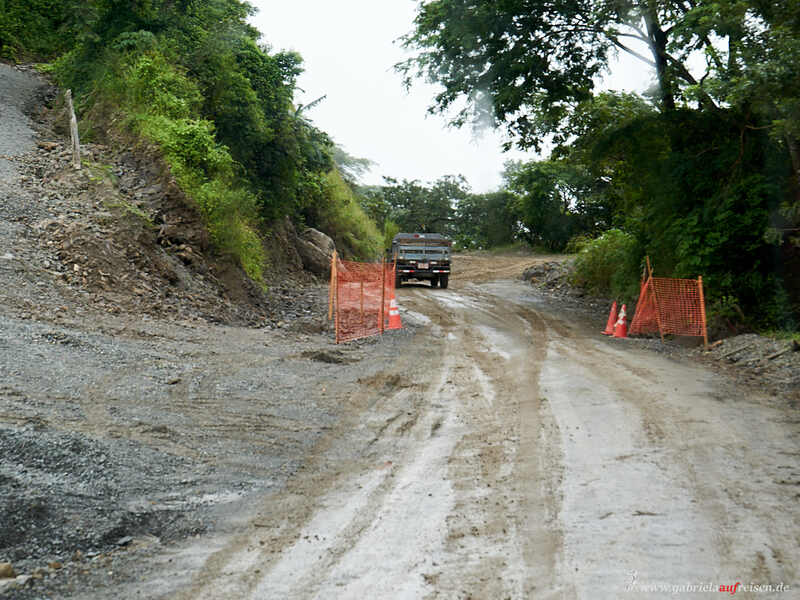 Because of the abundance of water, the sun’s rays and the geothermal heat of the active volcanoes, Costa Rica 2018 might be able to use 100% of the energy it needs from non-fossil fuels. Our tour is over, but not our trip. Now it’s even higher up the hill with the sky tram. From the station, the view ends because of the fog, however, in a few meters. That´s why this park is also called “forest in the clouds”. We happen to be on continental divide here, so the rivers flow from here not only to either the Pacific or the Atlantic, no, the clouds come either from one or the other ocean. Clear visibility is thus in the dry season between January and March mostly. Once at the top, we can still climb a lookout tower or have a coffee. Due to the limited visibility, we go straight down again. On a different road we drive back to the ship. Unfortunately, it does not stop raining, so that we get to see little of the extremely green country. 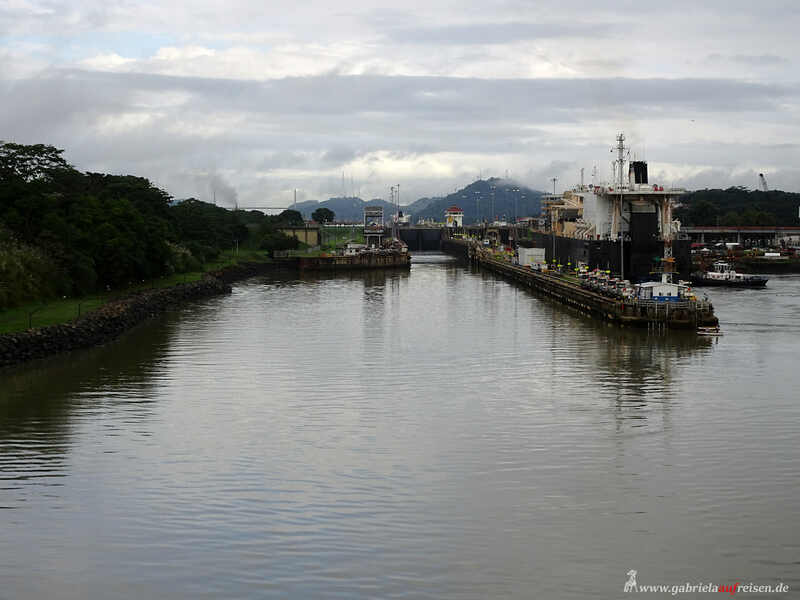 One more day at sea and we arrive at the entrance to the Panama Canal early in the morning. 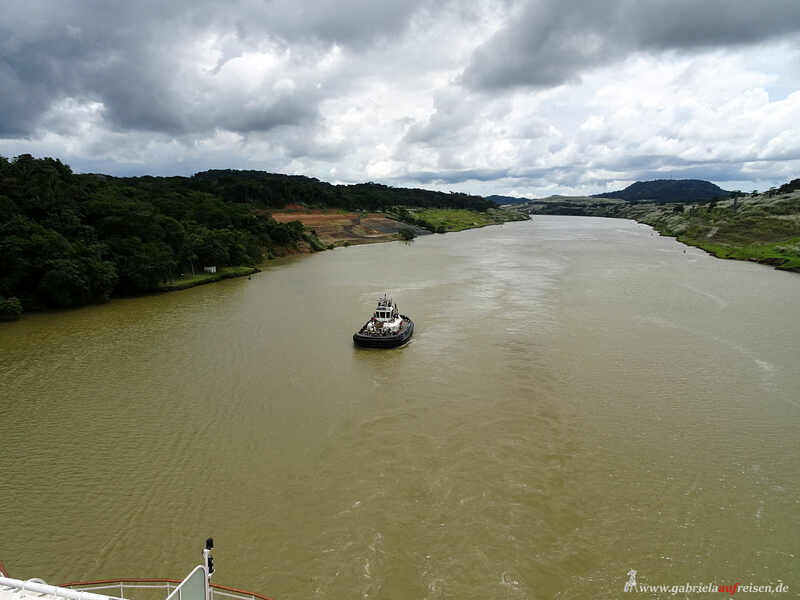 Many ships besides us are already waiting for the entrance to the first lock, for a considerable fee it is possible to book a certain time and so we drive straight ahead. At 7 o’clock the helipad will be opened for the guests and I secure myself a good place at the railing. 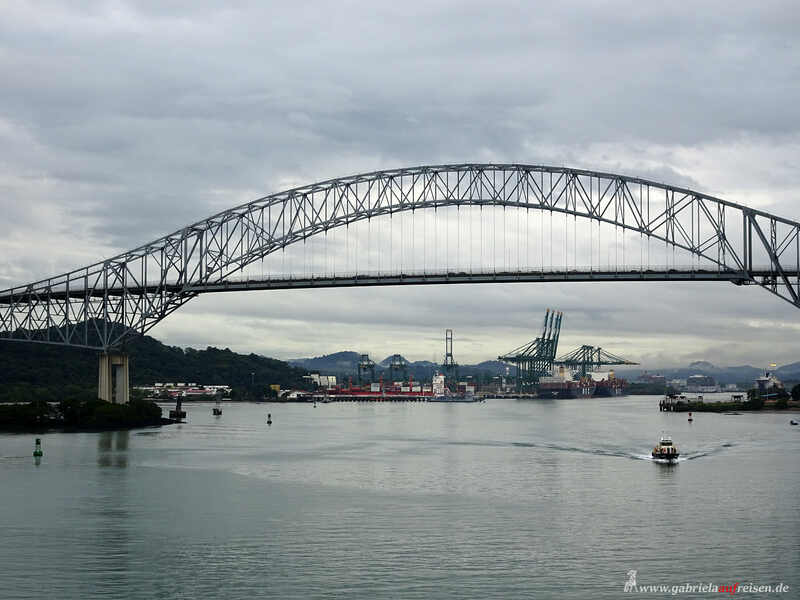 First, we drive underneath the “Puente de las Americas” bridge and then slowly on to the first lock, the Miraflores Locks. Since the Celebrity Infinity is not too big, we can use the old locks, the huge container ships in front of us turn left into the new locks, which are wider and can be flooded a lot faster. That saves time. The old canal was opened on 15 August 1914. For the canal a lot of the rainforest has been flooded to create the huge Gatun Lake so as not to have to move too much soil. Many people have died from malaria and other diseases. Meanwhile, these diseases have been eradicated here. 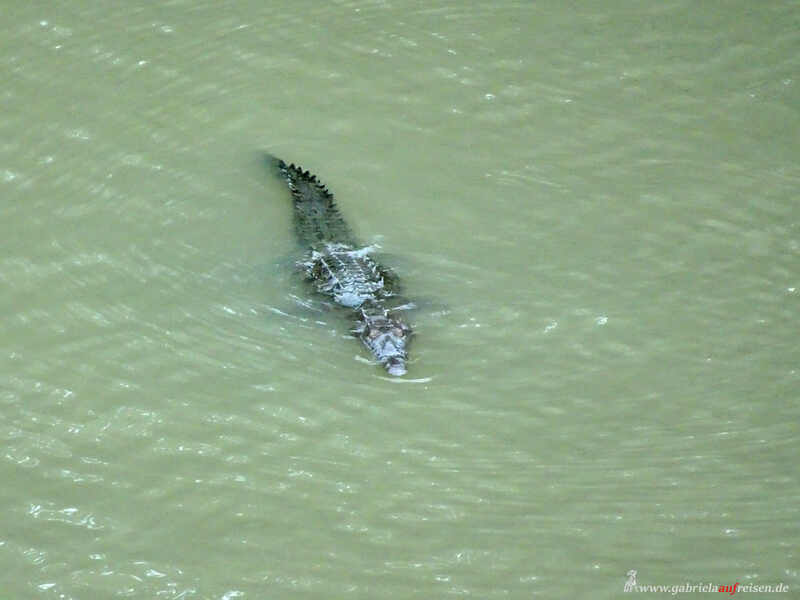 Shortly before the first floodgates open, I see three crocodiles and one of the deer trapped on the man-made island between the old and new locks. A few short-necked vultures wait for the perfect thermals to rise into the air to circle over the ships. Meanwhile, we are in the first lock and waiting for it to run full, so that the doors to the next chamber can be opened, which will carry us a few feet higher. 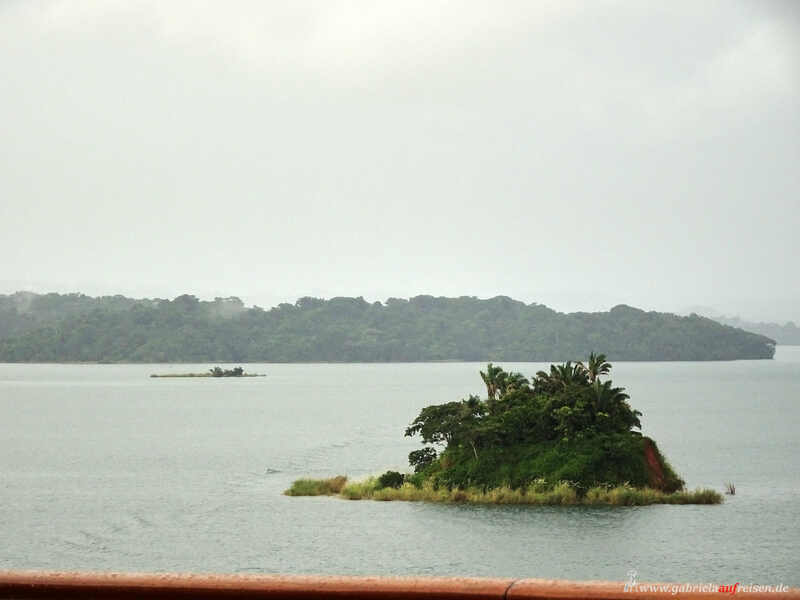 A total of 26 meters must be bridged to Gatun Lake. 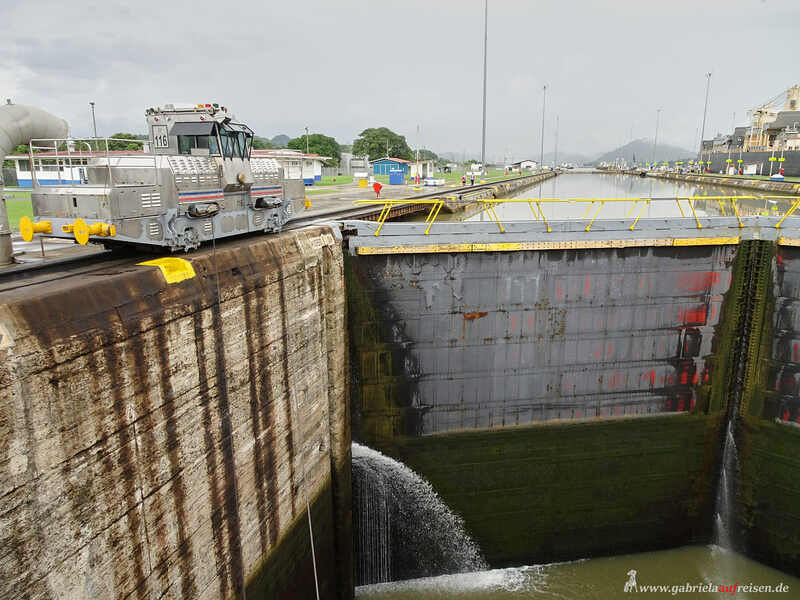 After more than 4 hours we have left all 5 lock chambers behind us, including the Pedro Miguel lock and the helipad empties. From now on, we cruise peacefully and slowly across the Gatún lake to the other side of the country. To the left and right of us is almost only rainforest can be seen, after a while we even see the Gamboa Rainforest Hotel, in which we have already stayed a few years ago. Around noon, the clouds are getting blacker and it starts to rain heavily with thunderstorms. Good, that we have already secured a covered place at the back of the vessel in time. So, we can sit through well despite heat and rain. 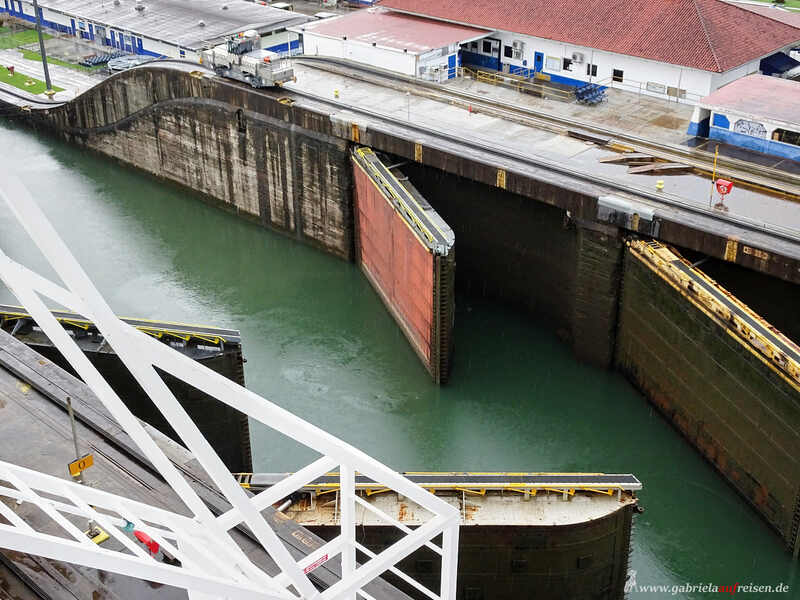 Shortly after 4 pm we reach the last lock with its 3 chambers, the Gatun lock. Again, we can see the new locks and how fast the huge container ships can move through. The whole channel is 77.1 km long. The exit of the canal is in Colon, where we anchor the next morning. Early we will be picked up by our German speaking guide Jorge Louis, who wants to be called Carlos. With him we drive over the highway back to the Pacific Ocean, to Panama City. More about that in my next blog post where you’ll also learn about our last stop in Cartagena. Until then, I enjoy your comments and I like you to visit me on Facebook, Instagram, Pinterest and Vero (Gabriela Kern). I am looking forward to your “Likes” !